We’d like to welcome Eric Swan to the DRA team as our Economic Development Analyst. Eric comes from Denver, CO where he most notably worked in urban planning and economic development roles for the Denver Office of Economic Development and the Urban Land Institute. Eric also served on the board of directors for Denver Food Rescue, the Holly Area Redevelopment Project (HARP), and DRI Goods (Denver Retail Incubator), as well as on the Community Advisory Board for the Colorado Enterprise Fund. Eric holds an undergraduate degree in political science and master's degrees in both urban and regional planning and public administration, with an emphasis in economic and community development. He also has a background in marketing and finance. 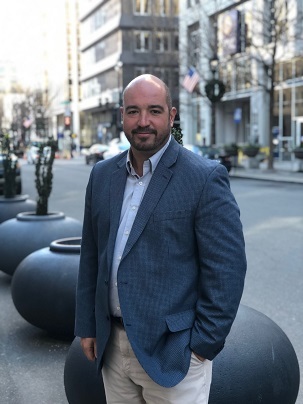 In his role at DRA, Eric will focus on retail recruitment, market data and analysis, and business support for small businesses and minority and women-owned businesses. You may contact Eric at ericswan@downtownraleigh.org or (919) 821-6981.